Damon Albarn is a controversial and eclectic artist. I’m fascinated from his creative process cause is difficult to decode it. This put me in the position to don’t know what to expect from each work he releases. 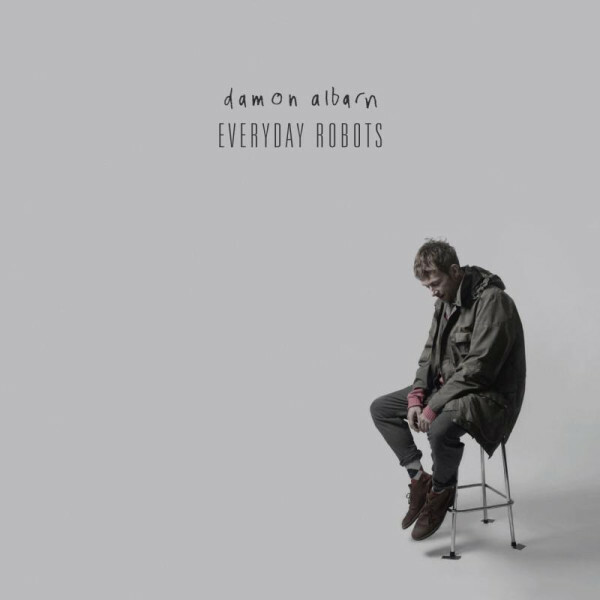 His first solo album Everyday Robots is been announced from the Blur frontman a couple of days ago and the curiosity to know more chased me but soon is been fulfilled by the official video of the first cut with the same name of the upcoming album. The video is a proof of content, the prelude to something else. The sound is unexpected, digital and synthetic. Indeed, after “never” leaving Blur, his own career has moved steps into different, unexpected paths with great success in terms of both popularity and critic, and this new digital route walks on new music processes. It’s soon to say where but the first impression is that is far from the known ones. This rum process of play, produce, think to the music is really different from all of the rest of nowadays musicians I listen to, a complete different approach which newly changes the perspective on Albarn as artist. Truly, this is a magic ability! Only the voice, the tone actually, is still the same and is always been the same. Now it’s easy to say “I’m always recognized Damon Albarn’s voice over the comic videos of Gorillaz” and don’t give…a bad impression! However, this magic Albarn’s ability to reinvent himself still remaining coherent is enviable, whether or not the work is good.